After giving his annual state of the association speech Thursday in Indianapolis, NCAA President Mark Emmert acknowledged he would back a small playoff if that's what Bowl Championship Series officials decide to adopt. ''The notion of having a Final Four approach is probably a sound one,'' Emmert said when asked what he heard coming out of New Orleans this week. One possibility is the four-team playoff, or the so-called plus-one approach, that would create two national semifinals and a championship game played one week later. This would be a good place to mention that the NCAA has absolutely nothing to do with the BCS. Nothing. Those BCS games are not NCAA-sanctioned events...whatever that means? But this news could spell the death of the BCS. At least it would seem that way. The idea of a "+1" system has always seemed the most logical due to things like logistics of wooing fan bases to venues, satisfying the "What about the student-athletes?!" crowd, and providing a logical step forward to maybe a larger playoff system down the road. I don't think we're headed towards a March Madness of college football, but I've always thought an 8-team playoff made the most sense in terms of making it competitive and exciting. Four teams is a good start, but it should not end there. My obligatory post-season idea...a pure hypothetical. 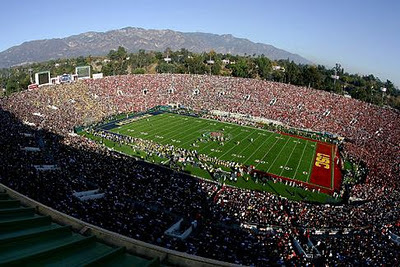 In my system, the Rose Bowl would always host the NCAA title game. First thing, we need to get over the bowls. They are essentially meaningless and there are way too many of them. I love the bowl games, I really do. But even I'll admit that the vast majority of them are a waste of time that dilutes the rest of the bowls that could actually mean something. I think there were 35 bowl games this year. This has to stop. Going to a bowl game used to mean you had a great season worth celebrating. Now, bowl games have turned into participation ribbons. "Hey Ohio State, you finished an abysmal season 6-6. Here's your New Year's Day bowl!" The sooner we can make getting to the post-season an actual accomplishment, the sooner bowl TV ratings will stop sliding. Making the field of 65 teams in the NCAA tournament is not easy. Good teams are left out every year, but that's what makes it exciting. The +1 idea would create a 4-team playoff. But why stop there? I think 8 teams, decided by a new rankings system, is where we're ultimately headed. No one likes the BCS. The combination of human and computer polls isn't just mysterious in it's function, but it creates a lot of friction because one of the human elements is the coaches poll...which doesn't make sense because coaches don't watch any other team other than their own and the one they're playing next. I don't know how this is going to go over, but I don't think the conference title games should be played. Why? Because it's a useless game that doesn't really help the winner, and really hurts the loser. Allow me to explain. Case-in-point: Alabama won the national championship and didn't play in the SEC title game. Yeah, winning your conference is great. But in today's world of college football, a conference title game doesn't make sense. And if we do away with conference title games, we can do away with conference divisions. Each conference should be capped at 10 teams*. That way every team could play every other team in their conference once during the regular season. There would be no argument that team X didn't play team Y, and that would help ease the loss of a conference title game, and you'd still have a real conference champion. And the addition of the NCAA playoff would more than make up for the loss of revenue to conferences via their title games. This stems from the new rankings system and the elimination of conference title games. It also eases the insane conference realignment chaos that is happening. It also helps cap each conference at 10 teams. Making the playoff field of 8 will be based 100% on your ranking. Rankings would be based on a similar system to the BCS, but would eliminate the coaches poll from the equation. It would keep the Harris poll and the computer rankings. It could include the AP poll as another human element, but it certainly wouldn't comprise 1/3 of the final equation. No conference will have an automatic qualifier for the playoff. Odds are a major conference champion will make the field of eight anyway, but it is not guaranteed (I'm looking at you Big East). As far as logistics of playing this playoff in the real-world...it won't be easy. I think the first rounds four quarter-final games of the playoff should take place at the higher seed's home stadium. 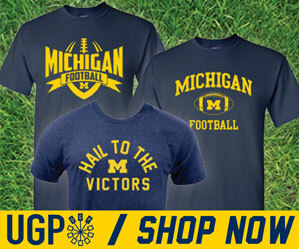 Again, university presidents and ADs will like this, and so will conferences, but so will that team's fans. Schools in the north will love it, schools in the south will not. Deal with it. It's not called home-field advantage for nothing. Round two's semi-final games will be at a major bowl location. Any two of the following...Miami, NOLA, Arlington, Glendale, Orlando (maybe they can rotate?). And then of course the championship game...which I think should always be played in Pasadena. What can I say? 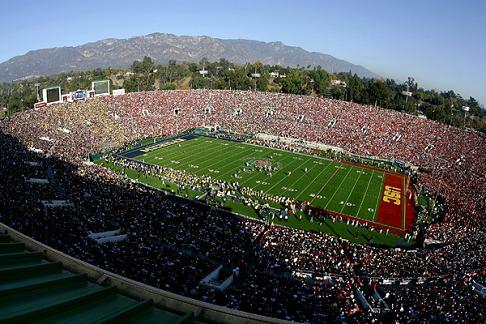 I think the Rose Bowl is a perfect place for the title game. Why not experience this every year? I am biased. I think round one would be played the week following the regular season, round two the following week, and then a break over Christmas leading up to the title game on January 1st. All other bowls can exists as they are, including bowls where round two playoff games are played. But the playoff would render the rest of the bowls even more meaningless than they already are...but that's just an unfortunate byproduct of creating a playoff. We've been heading down that road for years now anyway. *Yes, I fully recognize this would create an enormous mess. But this is purely a hypothetical.